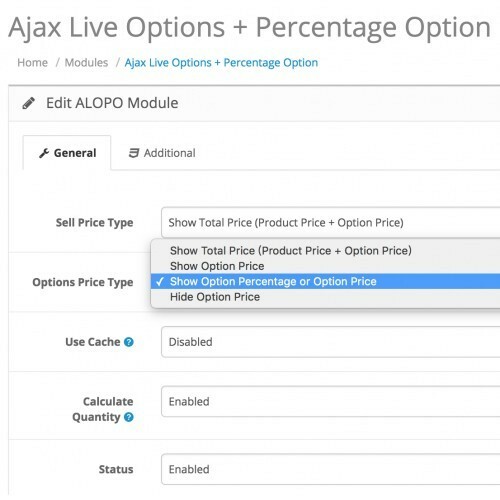 Use Ajax to change price in frontend product's page, and you can add option of percentage to the price value. It makes your store more attractive and functional with purchase Experience. 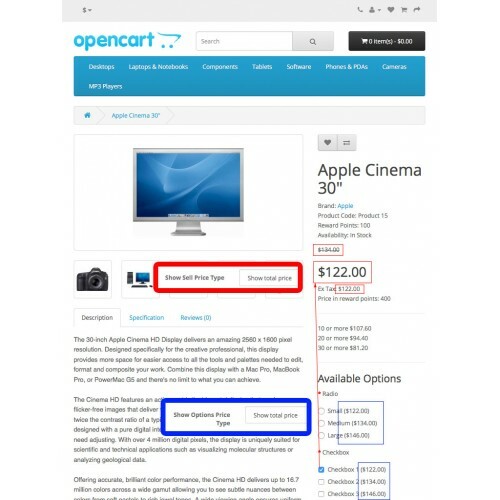 It helps your Users to easily check and choice the product as their wish and add the great User Experience. 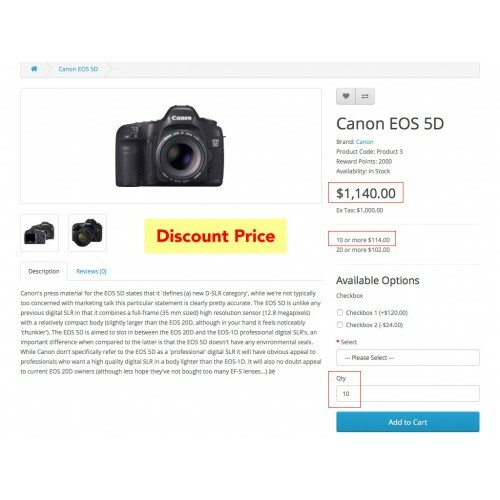 ✯ Apply on Price, Special, Discount, Reward Points, Option price with Tax. 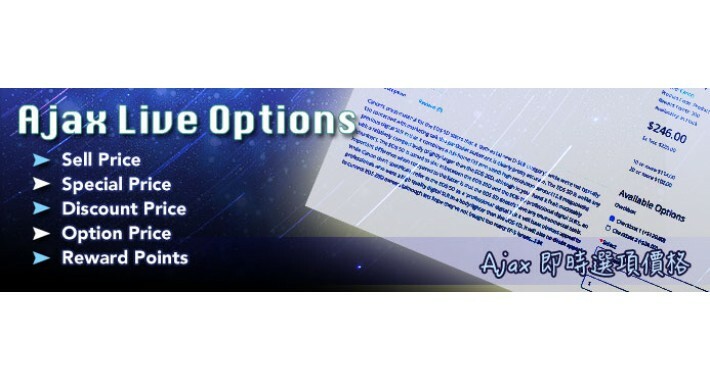 ✯ You can define to show options's price, total price of product, percentage of option's price, or hide option's price. ✯ No files will be overwritten. ✯ 可自訂要顯示選項價格, 商品總價, 選項百分比, 或是隱藏選項價格. 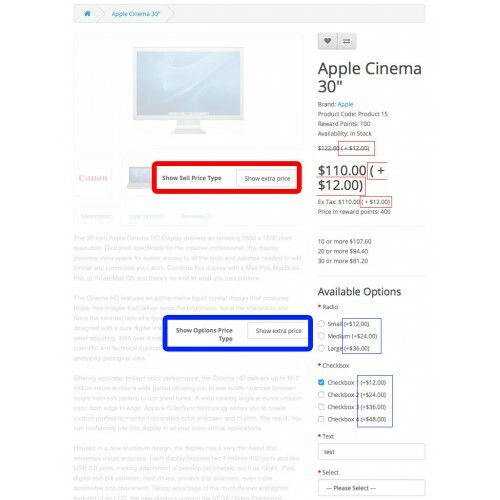 This extension is only develop with default theme, if you're using a customer's theme, it may not work! 1. Go Extension / Modifications (extension/modification), click Refresh button. 2. 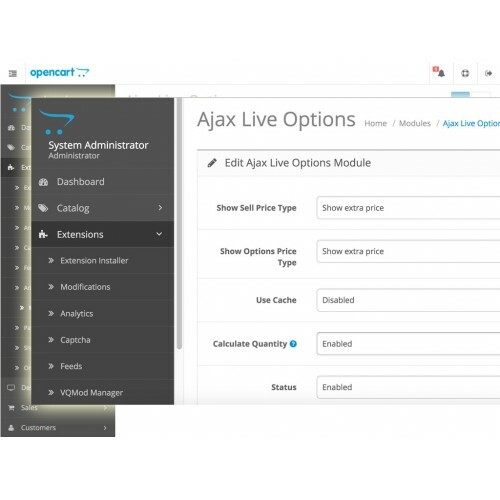 Go Extension / Modules (extension/module), find Ajax Live Options. Than install and edit / enable it. 1. 到 擴充功能 / 程式修改設定 (extension/modification), 點擊 更新 按鈕. 2. 到 擴充功能 / 模組管理 (extension/module), 找到 Ajax 即時選項價格. 選擇安裝並編輯、啟用該模組. P.S. If you saw the error alert about ftp error ,please install this extension first. 1. 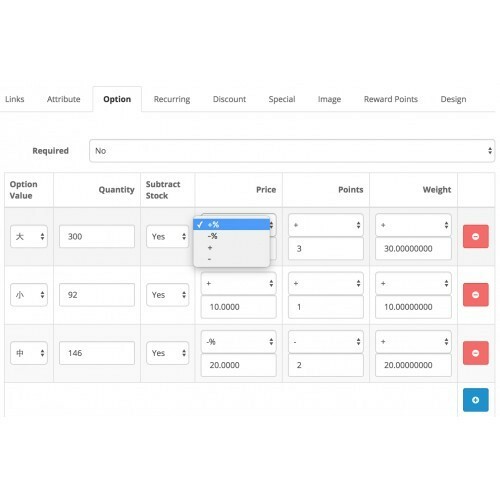 Detect changes to quantity (immediately) . 1. Auto update price when minimum quantity > 1.